A friend of mine left this comment on one of my pictures awhile back, and I thought it was perfect. Indeed, fountain pens look as good in a pocket as a proper bow tie! To me, anyway. 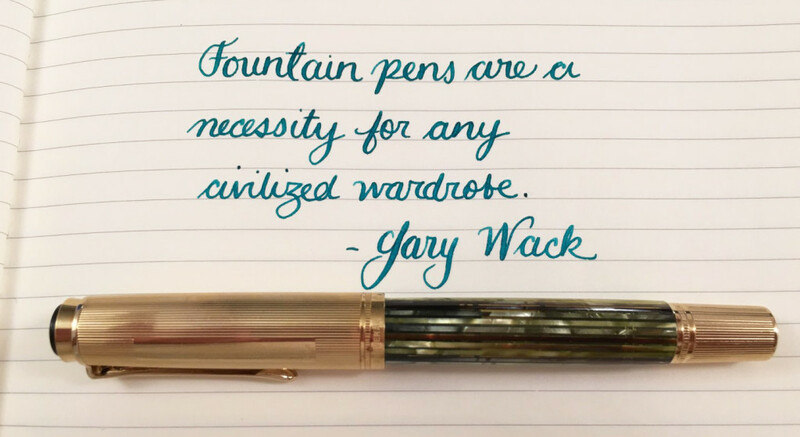 This entry was posted in Vintage Pens and tagged Handwritten, Handwritten Post, Pelikan, Quotes. Bookmark the permalink. Follow any comments here with the RSS feed for this post. Post a comment or leave a trackback: Trackback URL.